The core idea of ALL I WANT IS YOU actually came to me around fourteen years ago. I even wrote a detailed synopsis for it at the time. But due to various career issues being in flux in those days, I never had occasion to show the story idea to anyone. And that just goes to show you that everything happens for a reason, because I think the story developed in a much richer, deeper way as the start of the Coral Cove series than it would have as a singular work. I really enjoyed taking a character first introduced in the Destiny series and using her circumstances to propel my work in a new direction – specifically, the Gulf Coast of Florida, where I’ve spent quite a bit of time due to the good fortune of an aunt and uncle who lived in that area for many years. What’s extra fun for me about this story is that a lot of the mishaps that take place in the first few chapters really happened to me in real life when I was in my early 20s, living on my own for the first time, in Cincinnati – where ALL I WANT IS YOU begins. When you read about the door getting kicked down, that really happened. The neighborhood scents, the potted plant battle, the crashing down of the glass light – all of that happened, too. And I remember that even as I was living it all, I knew all of those little events belonged in a story, and I even wrote a short story about them at the time, but again – they come to life in ALL I WANT IS YOU in a much richer way than when they were just arbitrary events from my life. So it’s safe to say this book holds a lot of me within its pages, and a lot of very real memories and emotion. I hope you will enjoy reading it as much as I love having the opportunity to share it. 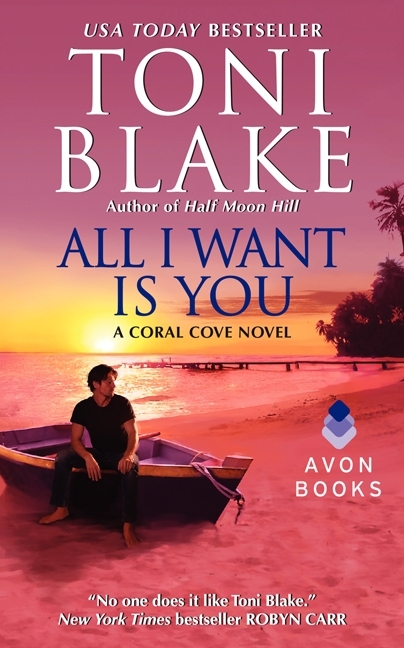 “Blake has a talent for creating stories with realism that are easy to relate to and offer hope for a happily ever after.” ~Terri Dukes, Romantic Times, 4 ½ STARS, TOP PICK!